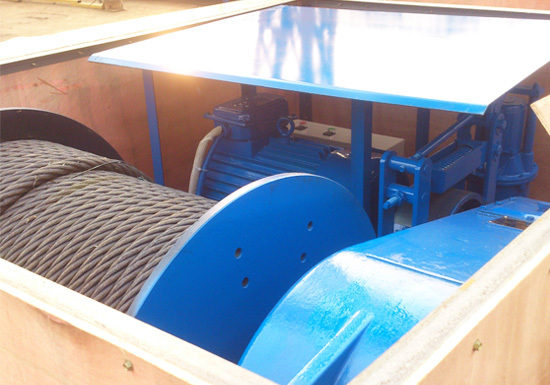 6 ton winch is suitable for various engineering projects on land and sea to lift and pull heavy loads. 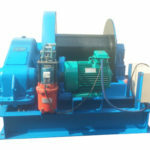 The winch machine supplied by our company is available with many different forms and sizes to meet varied needs of customers. 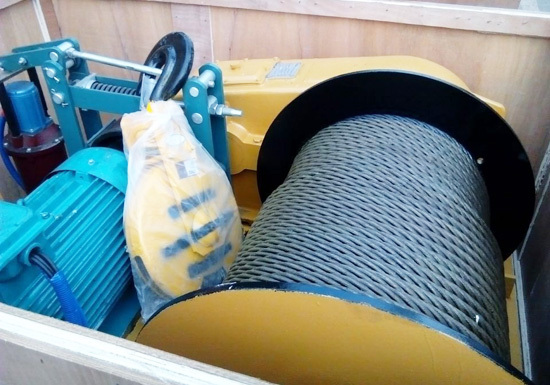 It comes in three types in terms of motive power, including electric, hydraulic and diesel engine winch, among which the 6 ton electric winch is the most commonly used for that it has low operating cost, easy and reliable operation and simple installation. Our electric winch 6 ton comes in a range of options for you to choose from, mainly including JM slow speed winch that uses reduction gear transmission and delivers slow speed winching operation, JK high speed electric winch that is commonly used in building construction to lift and pull materials at a fast speed, JKL piling winch that is ideally suited to vertical lifting of heavy objects, such as punching and piling operations in building foundation engineering, and finally mine winch that is specifically designed for winching operations in mining areas. 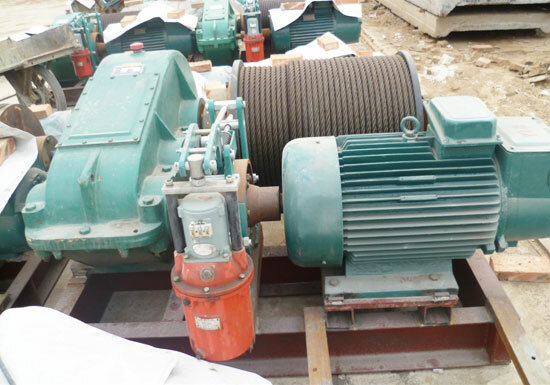 The uses of electric winch is almost endless. 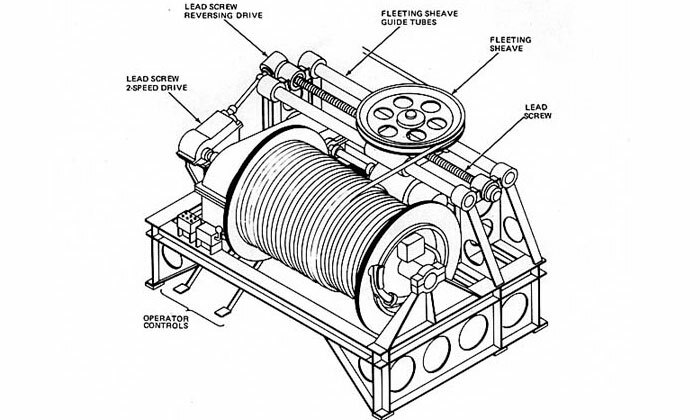 Some winches are designed to pull heavy objects on land and sea. Some are used as a crane or hoist to lift materials. And other winches can be applied on decks of ships for anchoring and mooring operations. Several crucial elements influence the selection of a 6 ton winch, including power source, working speed, rope capacity and environmental conditions. In addition, the safety and efficiency are always at a premium when using a winch. Backed by a professional technical team, we can offer the most suitable winch solution based on your specific requirements. In other words, you can find a winch with the right features, size, capacity as all as a reasonable cost at our company. High efficiency. 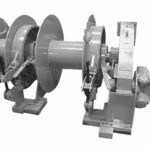 Our winches are designed to minimize losses and downtime. The winch with high speed operation is aimed at improving efficiency and productivity. Smooth operation. It is ensured by gears that use precision machining. Easy installation and maintenance. 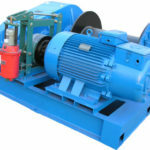 The electric winch is designed with simple structure. All wearing parts can be easily removed and replaced. Long working life. 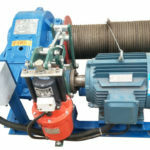 Our winch is ruggedly constructed by means of using high quality steel. Durable paint system is also used to extend its working life. Low cost. 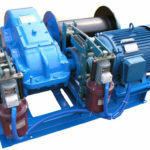 We offer our customers a factory price of each winch product. 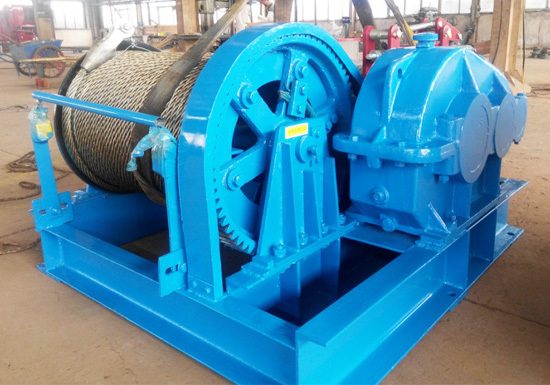 The common lifting and pulling equipment used in construction, mine, factories and marine is winch. This machine is literally found everywhere in all applications. On land applications. 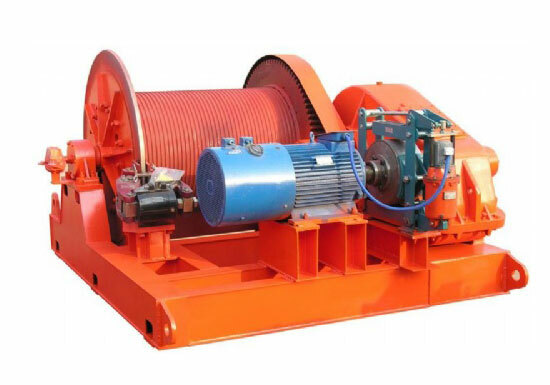 The common applications of winch onshore include construction winch and mining winch, which are mainly designed for lifting and pulling purposes. Specifically speaking, the winch equipment can be employed in construction and installation sites to lift, pull or drag heavy loads. And it can be installed on derricks and cranes to hoist materials. Marine applications. 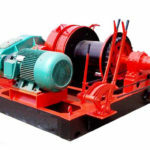 The winch can be used on various boats and ships such as barges, dredgers, river vessels, passenger ships, tugs and anchor treatment vessels to carry out different tasks, such as anchoring, mooring and towing. It can also be used to lift heavy items onto the boat. The 6t winch is generally designed for light duty applications onshore and offshore. 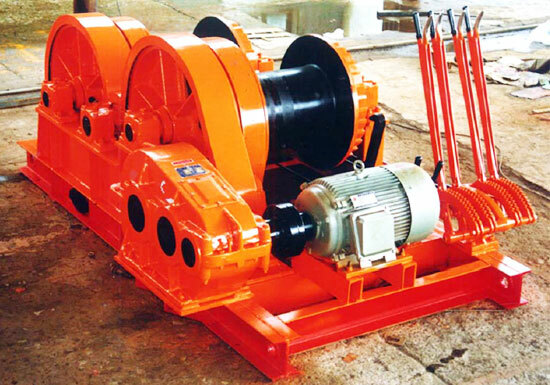 The winch with right-hand operation is usually constructed. However, it can be built with other side operation as per requirement. When it comes to the winch design, many factors must be considered, such as materials, rope, drum, transmission system and control system. 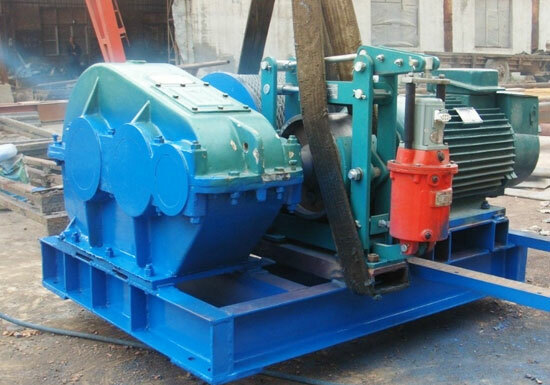 The materials from which the winch is constructed must be considered. Steel is an economical and suitable option for most applications. 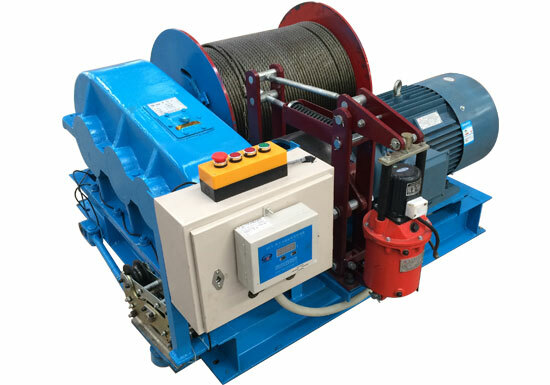 Generally, our winches are built with rugged steel. If you require a portable winch, aluminum may be a better choice. Though aluminum may have better corrosion resistance than steel, it requires special manufacturing techniques in constructing the winch. The steel can improve corrosion resistant qualities with a durable paint system and regular maintenance. When selecting a cable or wire rope, you should consider whether data or power is required to be transmitted between the winch and the payload. If so, you should opt for a cable. Otherwise, wire rope is sufficient. And then determine the size of cable or rope. 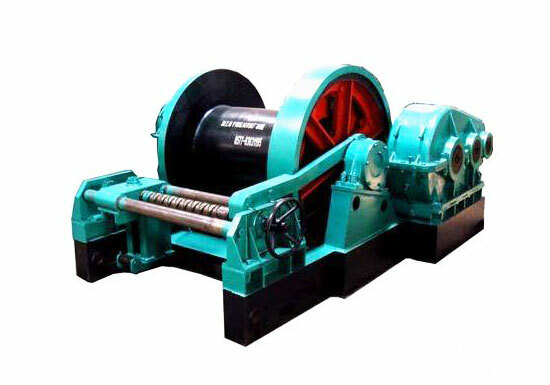 Its length and diameter is largely dependent upon the designed load capacity of winch. Once you determine the size of cable or wire rope, the drum size can be specified. If a large amount of rope is to be winded on the drum, you can use a grooved drum for more efficient spooling. In selecting a transmission system, there are a lot of factors you need to take into account, including the efficiency and how much torque is required to be transmitted. 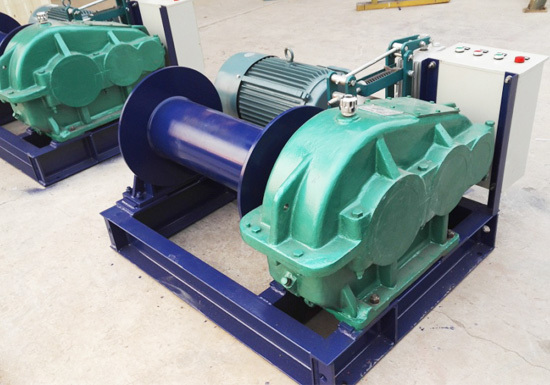 Different types of transmission system can be used along your small winch 6 ton, such as reduction gearbox, spur gear and planetary gear box. The 6 ton electric winch is normally operated by a push button control box that is fixed on the machine. Pendant or wireless remote control is increasingly popular since it delivers a safe winching operation. We provide a variety of winch options to ensure it can do what you want as well as a secure operation. The options include spooler, drum guard, band brake, pressure roller, limit switch and emergency crank. 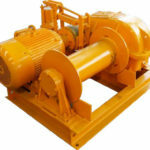 We are highly dependable winch manufacturer in terms of winch design, fabrication, service and cost. We offer a range of winch products from small light duty winches to large capacity heavy duty winches. With well-experienced technical team, we are able to custom design and construct a winch to match your unique requirements. 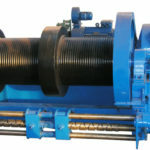 The winch solution offered by our company provides proper balance between cost, efficiency, suitability and durability. If you are looking for a reliable 6 ton winch manufacturer, welcome to visit our factory!